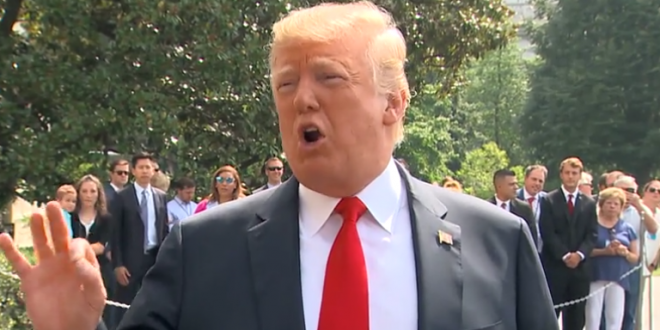 Trump Blasts Jeff Sessions For Not Firing DOJ Official Bruce Ohr Over "Phony, Dirty, And Discredited Dossier" - Joe.My.God. President Trump on Monday said Justice Department official Bruce Ohr should be fired for his involvement in the Russia investigation. In a tweet calling for Ohr’s firing, Trump also took a swipe at Attorney General Jeff Sessions, suggesting he does not have the resolve to ax Ohr. Sessions has recused himself from the Russia probe. The president’s latest attack came days after he said he plans to pull Ohr’s security clearance over his ties to a opposition research firm that compiled a dossier during the 2016 campaign about Trump’s ties to Russia.